Create a fresh an uplifting bedroom with the Cameo nightstand at your bedside. A modern twist on the traditional shaker style, finished in a stone off white, neutral and versatile. 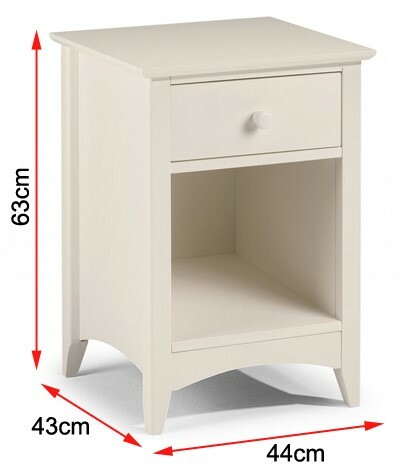 The neat square like design of this Cameo bedside table makes it a perfect fit by the bedside, holding all your necessities within easy reach on its spacious top. With a top drawer and an open cupboard there’s space to organise all your essentials.